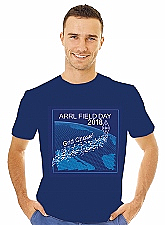 High quality cotton pocket t-shirt featuring the 2019 ARRL Field Day artwork on front and back. Charcoal hat with ARRL Field Day embroidered on the front. Acknowledge your involvement in ARRL Field Day with a pin. Wear it proudly! Size 1 1/4” x 7/8”. Charcoal ceramic mug (11 oz), featuring the 2019 Field Day logo. 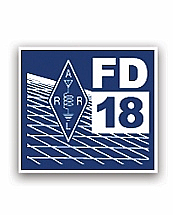 Show your support for ARRL Field Day with a special patch. Size 3” x 2 1/16” . 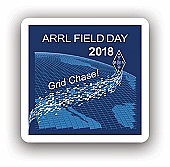 ARRL Field Day sticker. Size 3 1/4” x 2 5/16” . 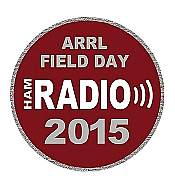 Show your support for ARRL Field Day with a special patch. Size 3 1/2”. 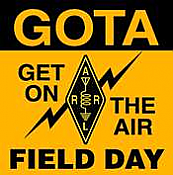 Use these pins to recognize GOTA (GET ON THE AIR) operators participating in ARRL Field Day. You can specify a number from 1 to 1118. 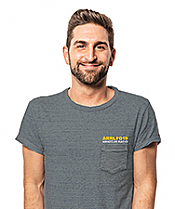 Youth t-shirt (white) featuring the 2018 Field Day logo on the front, and Ham Radio on the back. 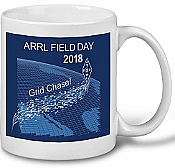 White ceramic mug (11 oz), featuring the 2018 Field Day logo. 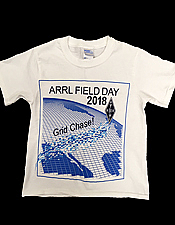 Show your support for ARRL Field Day with a special patch! Size 3" square. 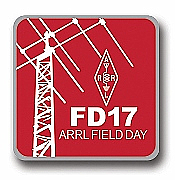 Acknowledge your involvement in ARRL Field Day with a pin. Wear it proudly! Size 1.125” x 1.125”. You can specify a number from 1 to 528. 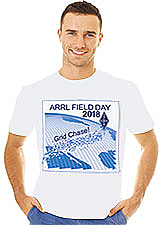 High quality cotton t-shirt featuring the 2018 ARRL Field Day logo on the front chest, and ARRL FD18 and ARRL IGC artwork on the back. 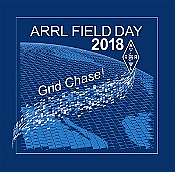 ARRL Field Day sticker. Size 3 1/2”. Show your support for ARRL Field Day with a special patch! Size 3".